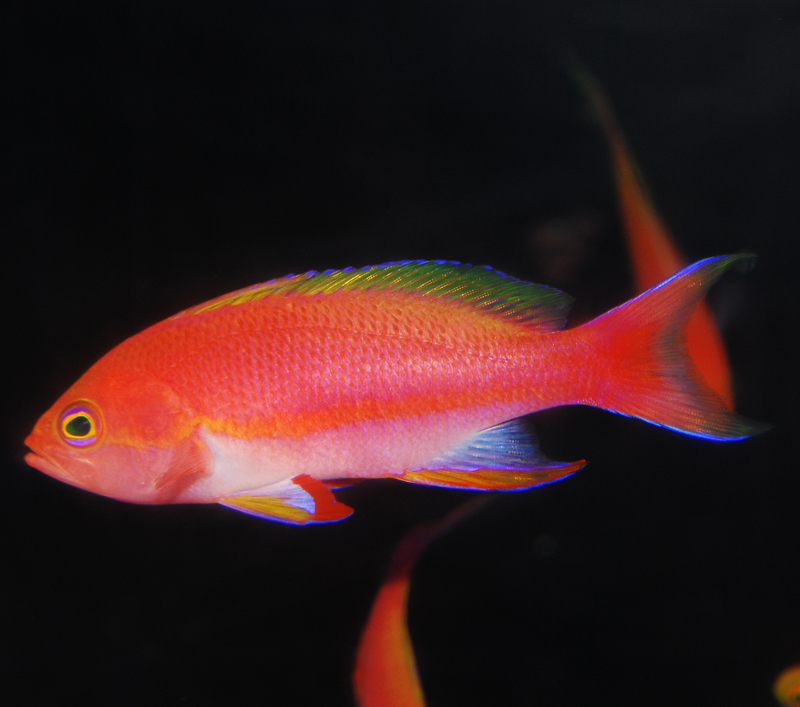 The Resplendent Anthias is very similar to the Randall’s Anthias. Females are orange/pink with yellow faces and caudal fin. Males develop beautiful iridescent blue pelvic fins edged in red. Keep a single male in a 75 gallon aquarium. If you wish to keep a harem of this species, keep one male with as many females as possible in a very large aquarium to prevent individuals from being singled out and killed by the others. If the male in a group dies, the largest, most aggressive female will turn into a male and take his place in the hierarchy. Feed a variety of meaty planktonic foods like frozen or refrigerated mysis, brine shrimp, and copepods several times a day.